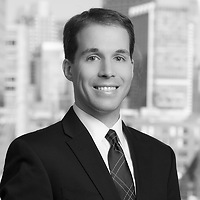 Rory P. Pheiffer, a partner in Nutter’s Intellectual Property Department and a member of both the Emerging Companies and Life Sciences and Medical Devices practice groups, addressed the Supreme Court Case Oil States Energy Services v. Greene’s Energy Group in Nutter Insights. Rory discussed what industries will be affected by the Supreme Court’s decisions; how the decision will affect businesses’ IP strategy; and what the decision means for the future of the Patent Trial and Appeal Board (PTAB) and inter partes reviews (IPRs). According to Rory, the PTAB isn’t going anywhere, there was a patent appeal board before IPRs existed, and one will continue to exist post Oil-States. Please click to view Rory’s complete Insights.